On July 13th, 2016, Palm Beach added a new artificial reef to our collection — the Ana Cecilia wreck. This new 170ft wreck was sunk 300ft. south and 60ft. east of the Mizpah wreck (the Corridor wrecks). Sitting 45ft. tall into the current, this ship is the perfect structure for our resident goliath groupers, as well as the hundred plus goliath grouper who visit these wrecks during the goliath grouper aggregation. 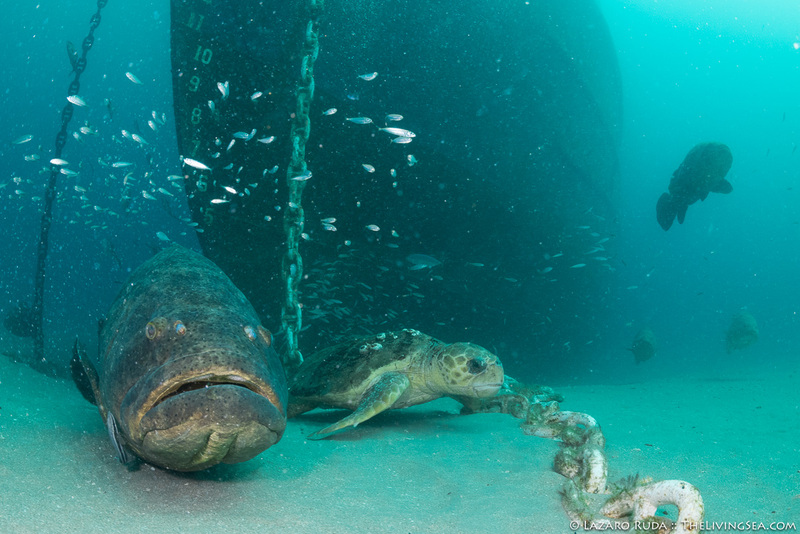 Within one week of the Ana Cecilia wreck being sunk she was already hosting half a dozen goliath groupers. Fast forward to a day before her one month anniversary and these numbers have vastly increased. This is partially due to the start of the yearly goliath grouper aggregation. While diving on the Ana Cecilia wreck I counted 15 very friendly goliath groupers just hanging out around the bow of the Ana Cecilia wreck. The baitfish that swarms around these goliath groupers was also starting to form, as well as the schools of jacks that feed on them. Coral growth on this wreck is well on its way with the first layer of algae establishing itself throughout the wreck. It won’t be long before encrusting sponges and coral larvae start to settle, too. 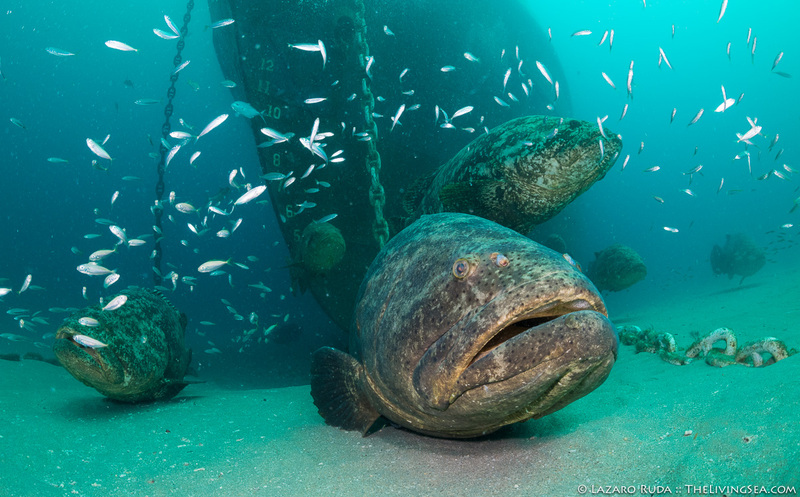 Goliath groupers aren’t the only one taking advantage of this new artificial ship wreck. While hanging out with my goliath grouper friends, a curious female loggerhead swam right through the middle of the groupers. 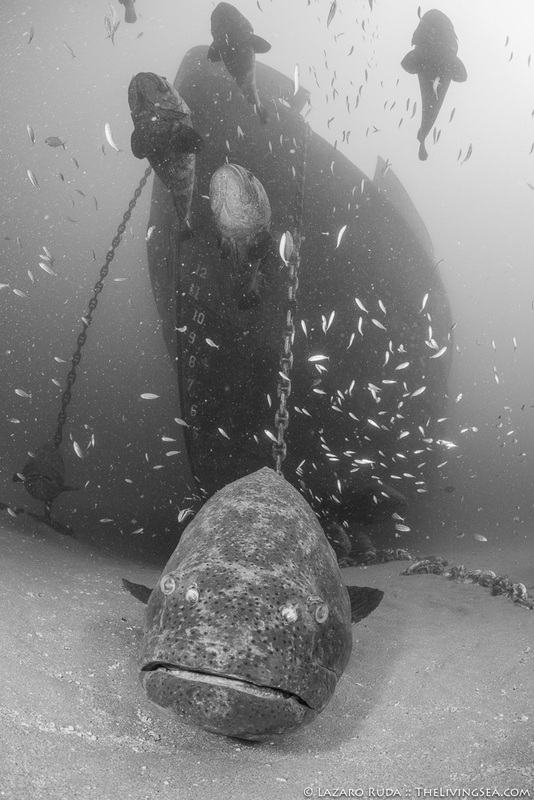 The inside of the Ana Cecilia wreck had a handful of goliath groupers hiding inside the wreck and around the props. The best part is that this is just the beginning! The number of groupers and baitfish action is very likely going to increase within the next month or two. If you haven’t been out to dive the Ana Cecilia ship wreck yet then don’t wait any longer. Our goliath grouper trips are very popular and filling up fast. You definitely don’t want to miss these dives! Check out a few more of today’s photographs including a familiar grouper face from previous years — Braveheart! Our goliath groupers are quite inquisitive. One of these goliath groupers is an imposter! Even our old friend Braveheart is checking out the new wreck!